You may choose to write a letter to your Senator or Representative. Most offices keep tallies of how many letters they receive on a given issue, so writing to your Member of Congress is one way to make your views “count.” You can either send a letter by email or through the post, which may take up to three weeks to reach the office, but is more likely receive a response (though form letter responses tend to be the norm). Information on where to send your letter or email will be posted on your Member’s website. When writing your letter, follow the principles discussed in the “Crafting your message” section above. Be sure to state that you are a constituent and include your job title and affiliation. Make clear why you are writing (i.e. your “ask”) and make concise arguments in support of your position. Draw from your own personal experience and try to relate your points back to the district. Keep the letter brief—it should not be longer than one or two pages. Lastly, forward a copy of your letter to COSSA. We may be able to use it in our own advocacy efforts. 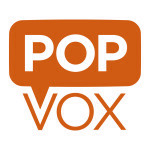 You can also write to Congress using POPVOX, a free social media tool that makes it easy to send a letter to your Congressional representatives about specific legislation. COSSA’s Action Alerts website (https://www.cossa.org/advocacy/take-action) integrates with POPVOX to make it easy for members to respond to Action Alerts on particular bills important to the COSSA community. Calling your Member’s office is particularly useful when you are focusing on an immediate issue that has a tight timeline, such as an upcoming vote or markup. 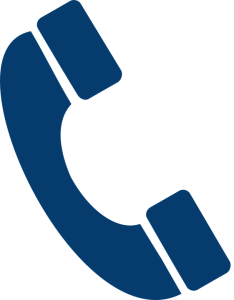 You can find your Member’s office phone number on their website or by calling the Capitol Switchboard (202-224-3121) and providing the name of your Senator or Representative. Ask to speak with the staff member who handles science issues. Make sure you have thought through what you wish to say before you call the office. You may want to write out a script or talking points to help organize your thoughts. As always, begin by noting that you are a constituent and explain who you are before moving on to your “ask.” It is very important to be concise, so limit yourself to three or four brief points. If you would like to continue to engage with the staff member you spoke to, you can ask them for their email address so you may follow up.